Open seasonally from Memorial Day through early August. 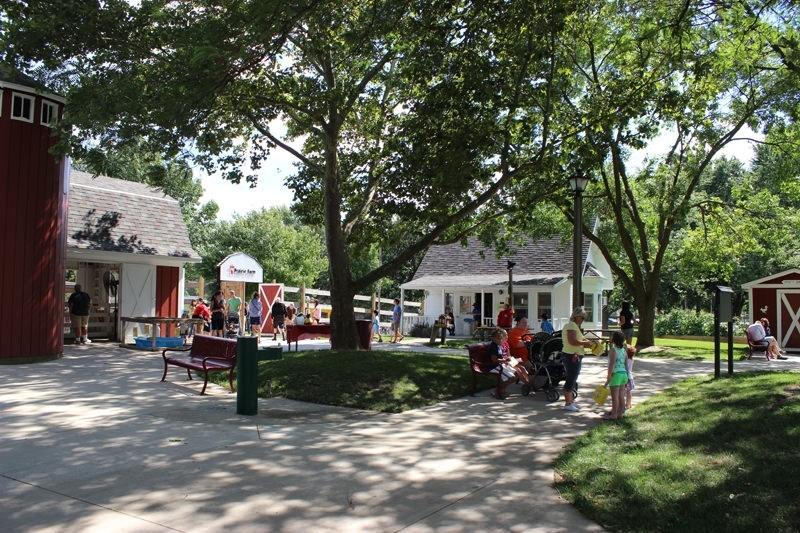 2019 season begins Saturday, May 25, 2019 and runs through Saturday, August 10, 2019. 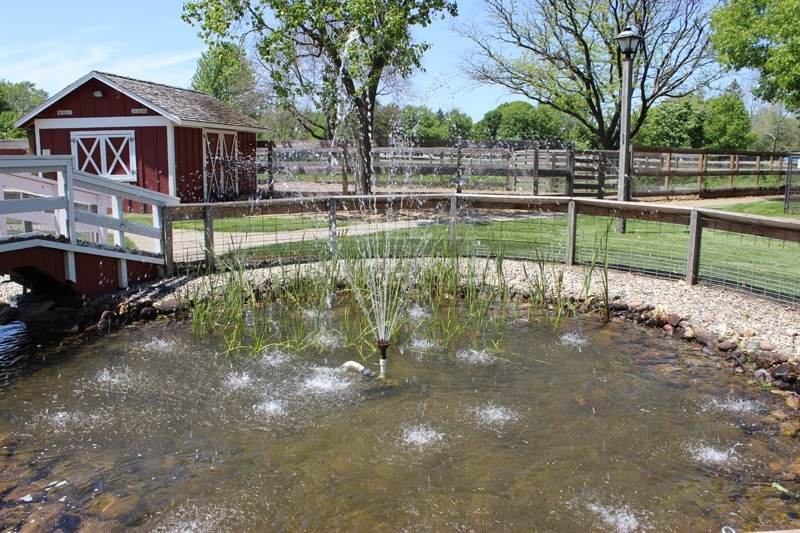 Prairie Farm is a replica turn-of-the century farm complete with barn, farmhouse, pond, pasture, & flower garden. 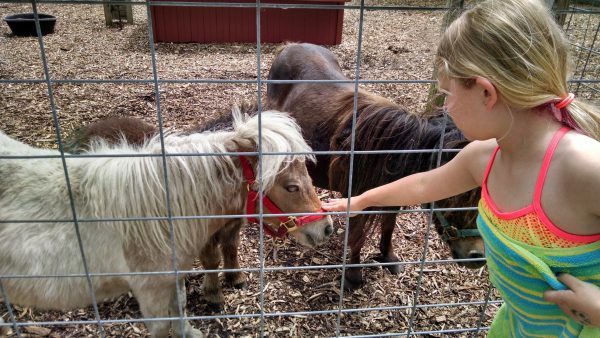 The Farm is open to the general public from Memorial Day to early August and features a variety of your child’s favorite animals including cows, horses, sheep, pigs, goats, chickens, llamas, donkeys, miniature horses, peacocks, rabbits, turtles, turkey, and a beautifully established koi pond. 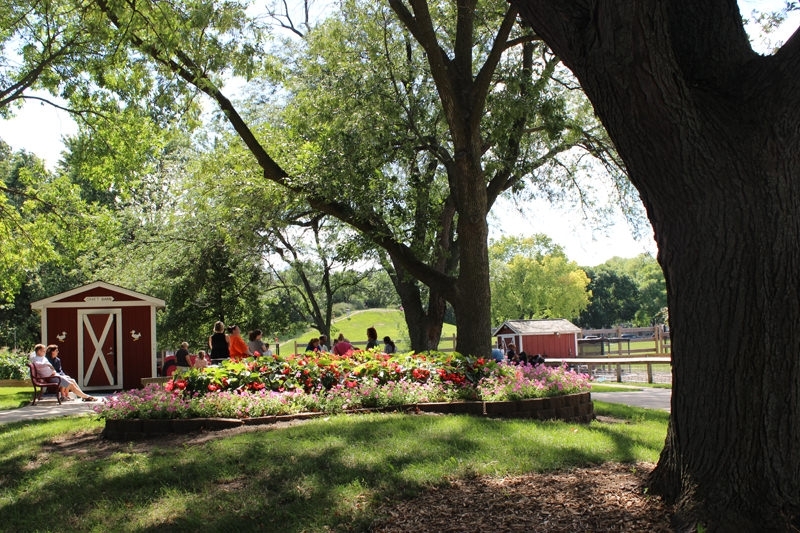 Wandering paths and big shade trees make the farm a truly enjoyable destination all summer long. Admission to the farm is free, but donations are appreciated. 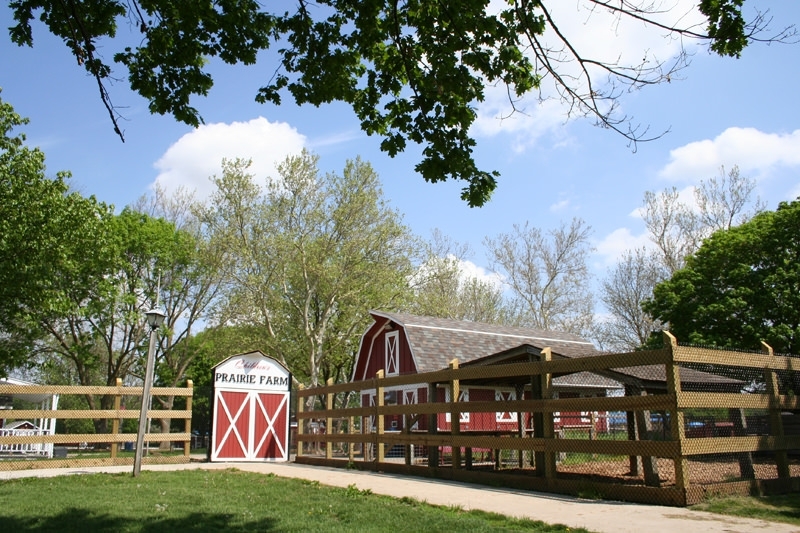 You may make your donation onsite or by visiting the Champaign Parks Foundation and designating your donation for Prairie Farm. 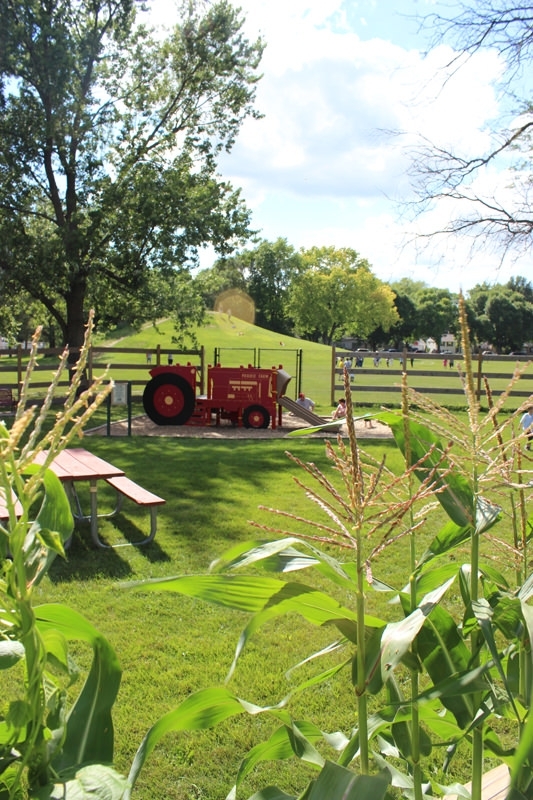 Prairie Farm is open seasonally from Memorial Day until early August. Our closing date varies and is published in the summer Explore Guide each year. Be sure you wear tennis shoes or boots to the Farm as open-toe or open heel footwear is not allowed in the petting area. For the safety of our visitors, the farm will close for inclement weather. Please visit our Cancellation Page for weather or other closure information, or call 217-805-4100, option 5 for a prerecorded message. Looking to make your visit special? Schedule a farm tour for you and up to 30 friends. 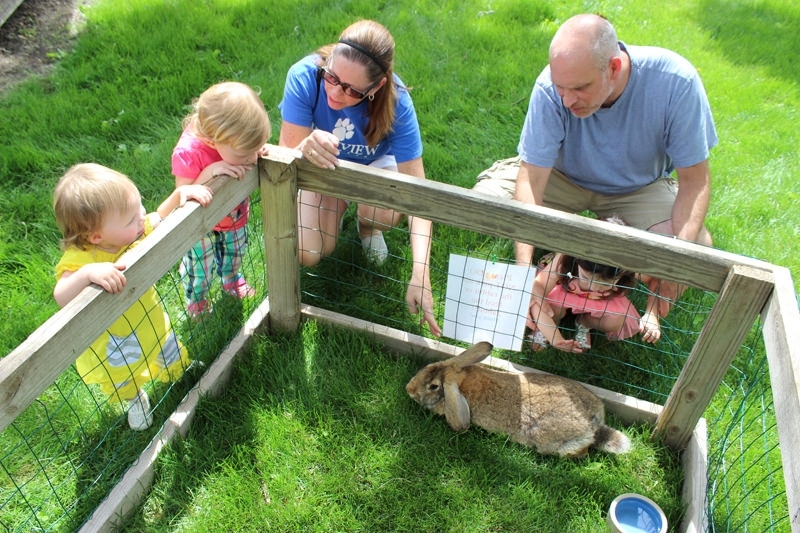 Tours are 45 minutes in length and include personalized animal encounters led by our expert staff. Please schedule your tour at least three weeks in advance. Tours are available seasonally Monday – Friday between the hours of 11:30 am – 1:00 pm. 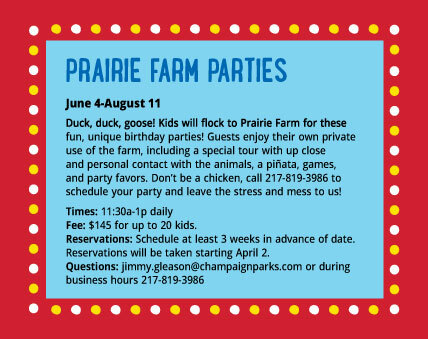 Cost and other booking information is available in the Prairie Farm section of our summer program guide. See our Prairie Farm Programs page.